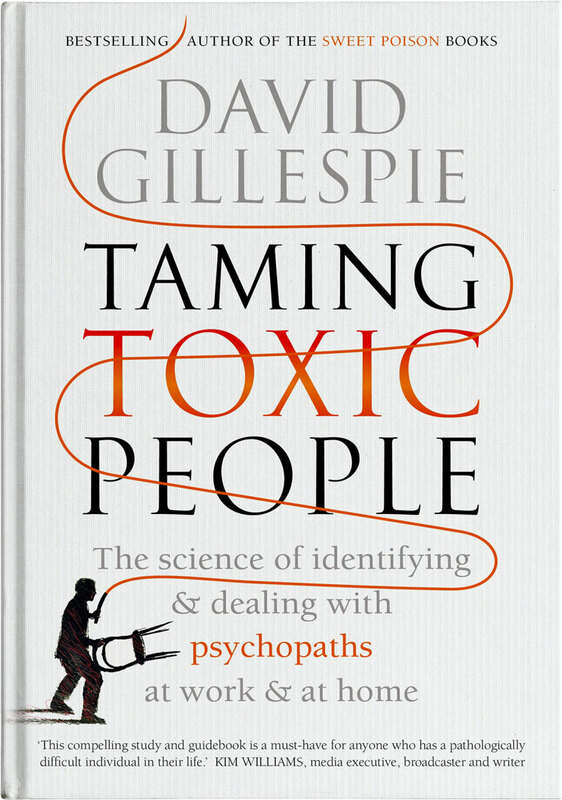 David Gillespie is a corporate lawyer, author and software cofounder with no medical or psychological qualifications, however in his book, Taming Toxic People, he states that 5 to 10 percent of the population qualify as psychopathic. In fact, Gillespie says that psychopaths are so prevalent that he is “absolutely certain that there is at least one in your life,” especially in our workplace. Gillespie is the author of many books, including Sweet Poison: Why Sugar Makes Us Fat, where just like he does in Taming Toxic People, he writes with conviction, making bold and honest statements, even without qualification in the subject matter. While a non-expert writing on the subject of psychopaths would usually make me sceptical, I loved Gillespie’s book, it is brilliantly written with compelling yet disturbing messages. According to the Diagnostic and Statistical Manual of Mental Disorders (DSM) the term psychopath is not defined as a legitimate psychological term. However Gillespie wants us to embrace the word psychopath because its definition is simple, universally understood and to the point. 1. “Empaths” – people who have the ability to empathise with others. 2. “Psychopaths” – people who have absolutely no empathy. Gillespie identifies a psychopath with one key characteristic, that they have “Zero Empathy”. While at times, all of us empaths (non-psychopaths) find ourselves being charming, self-obsessed, emotionally manipulative and shallow, we still show empathy. Psychopaths NEVER show empathy. In fact, psychopaths are, “missing a part of the brain called a spindle neuron. People who don’t have enough of them tend to be psychopathic.” In fact, “by the time we’re four, we have formed our full adult population of spindle neurons. So by the age of four, you should be able to tell if a person is likely to be a psychopath,” or not. So yes, even your child may be a psychopath! Interestingly, people think of psychopaths as being evil, however Gillespie debunks this by stating that psychopaths are not evil, as they have no concept of right or wrong. They don’t behave badly to hurt and harm you, that is just a byproduct of their behaviour. Instead, they are simply pursuing their self-centred narcissistic goals. An important thing to acknowledge about psychopaths is that they believe they are superior to all other people and the role of everyone else is to deliver psychopaths rewards and behave accordingly. Added to this, psychopaths with their incredible ability to charm and lie, will naturally be attracted to workplaces where they can be fast tracked into senior roles. In fact, the results from the ‘Great British Psychopath Survey’, shown in Table 1, outlines the professions that psychopaths are most likely and least likely to be found in. The one big game changer for me when reading Gillespie’s book is that psychopaths just don’t care! Having this knowledge then requires us to shift our approach to dealing with psychopaths. As an empath, the challenge becomes to stop treating them like other empaths i.e. trying to be reasonable and engage with them emotionally to build a long-term relationship. Instead, with psychopaths, you need to be brutally detached, have no emotional connection with them and extract them from your life. In his book, Gillespie likens a psychopath to a piece of enriched uranium. 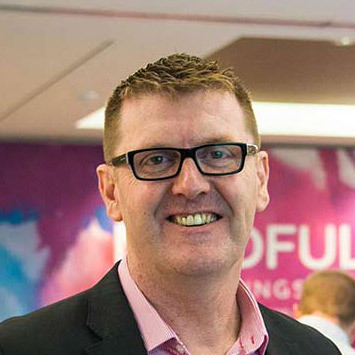 “Ignoring it or handling it badly can have horrific consequences, but if you are careful and design the system containing it well, it can produce enormous benefits.” Gillespie gives the reader the approach and system to do just that by controlling the impact of psychopaths as an organisation ‘with honesty, transparency, and structured decision-making’. This book will disturb you and in fact it may haunt you, but it will help you forever psychopath-proof your workplace and home and never tolerating the toxic and damaging consequences by allowing the many psychopaths into our world.